So a couple of weeks ago I was in one of my lulls at work, so I decided to look around and mind a place I’d like to go on my vacation. I wanted somewhere fairly close because of the price of gas but I wanted to get out of Texas. So I pulled up a map of KOA campgrounds and found one outside Elk City, Oklahoma. I did some looking and it sounded promising. 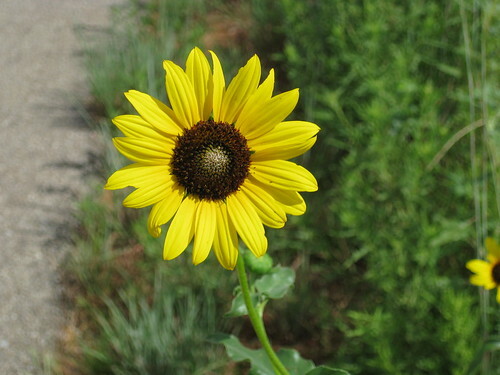 Monday, I set off and took US and state highways instead of the interstate. You do get to see a lot more scenery that way. 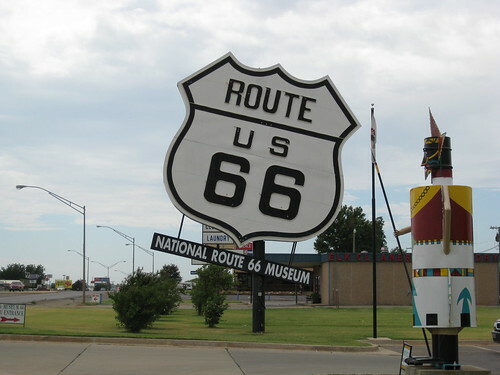 That afternoon I stopped by the National Route 66 Museum. They had some interesting exhibits but on the whole I was a little disappointed. I did learn that Phillips 66 got it’s name while one of the owners of Phillips Petroleum was out testing their gasoline with a friend. They were driving down Route 66 and when Phillips asked the driver how fast they were going. He told him, “66.” That’s how it got its name and even the logo takes it lead from the US highway sign. Now in another museum on the same grounds at the Route 66 museum, I found this interesting contraption. Scary. 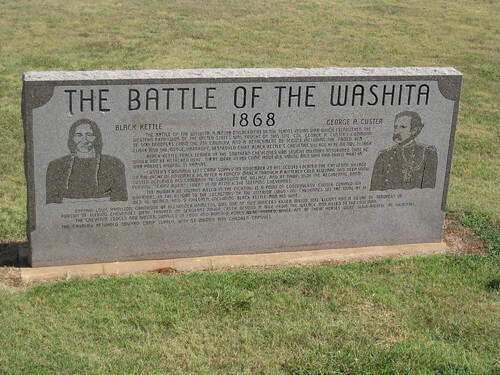 Tuesday morning I headed north to Chyenne to the Washita Battlefield. In November 1868, Gen George Custer and his men attacked the village of Black Kettle and his people near dawn. 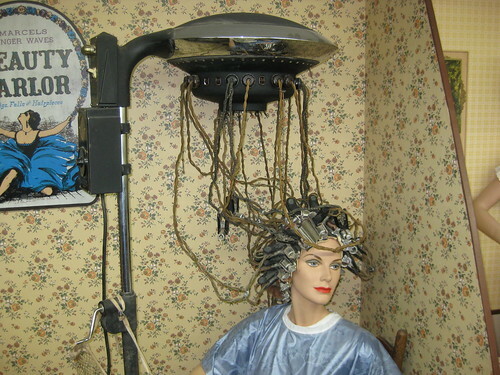 This attacked saw the death of somewhere between 30 to 60 Cheyenne. After taking 50 or so prisoners, Custer ordered all the supplies and over 800 horses destroyed. This event is seen as the tipping point that caused the Cheyenne to finally accept life on a reservation. Wednesday, I headed up to Foss State Park. They have over 19 miles of trails so I headed down one of the access roads to get to a trail head. I saw this sign along the way and had to stop. 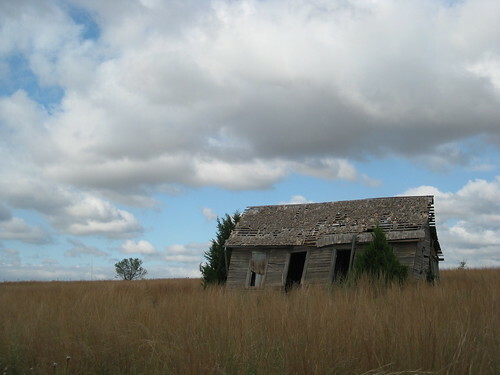 I also came across this house and couldn’t suppress the urge to try and take some kind of artsy picture. I don’t know if I succeeded. 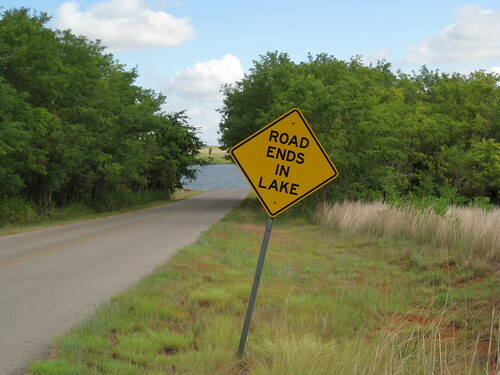 Once I got to the lake, I couldn’t find the trail head. I wondered around for probably 15 minutes. All I saw was water and five-foot tall grass. At one point, I noticed some dogs come out of the grass and trees. I thought, “they must belong to someone coming off the trail.” So I walked down to where I saw the dogs a few moments before. Nothing. These wraith dogs had melted back into the grass. At this point, I gave up and decided to check out the Washita National Wildlife Refuge. As I drove along I found a turn-off which lead to the “Centennial Trail.” It was a small trail cut through the tall Johnson grass and led to a small lookout overlooking the wetlands. 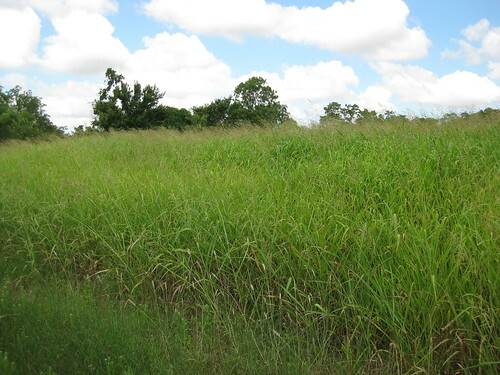 As I walked through the area with all the Johnson grass, I kept hearing what sounded like running water. After I stopped, I realized it was the wind rustling through the grass. This grass was over seven feet high. I felt small standing among it. This is just a picture showing off the Macro setting on my new camera. 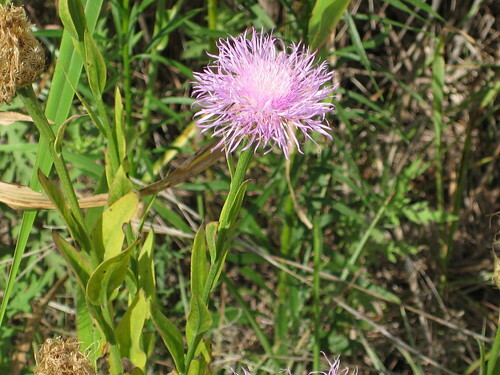 And another closeup of a flower. Later on, I drove over to Weatherford and visited the Stafford Air & Space Museum. Part of the museum is a tribute to General Thomas P. Stafford, who had an illustrious career in the Air Force and with NASA. He flew on two Gemini missions as well as Apollo 10. I could have taken all kinds of photos but the few I took were just of interesting little things. 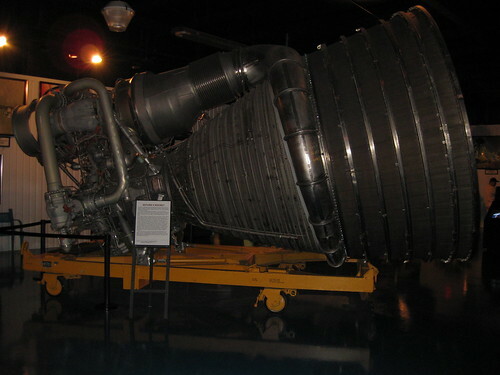 Like the engine from the Saturn V rocket. This thing is massive and there are all these intricate pieces that made the engine work. But it was disposable. All that time and money was used once and then would have to be rebuilt for the next launch. 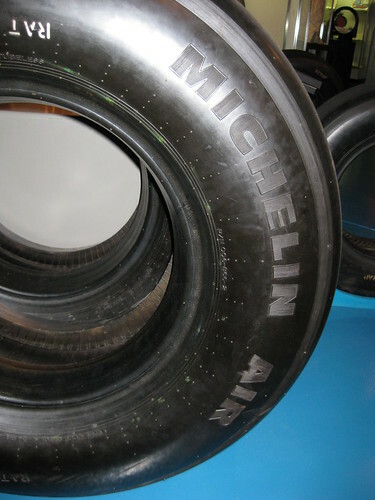 The next photo is just a picture of some tires, but it’s not everyday that you see Michelin Air tires. These are rated for 300 PSI and depending on their location on the shuttle will last from one to two flights. The rest of my time has been spent reading and trying out the local restaurants.